The PULSEMIX on Cricket is an overall good value. Its quad-core CPU sips power from a 2,800 mAh battery that is rated for up to eight hours of talk time. The Alcatel Android smartphone has an adequate 5.2” HD screen that provides a mostly responsive experience with rich color. 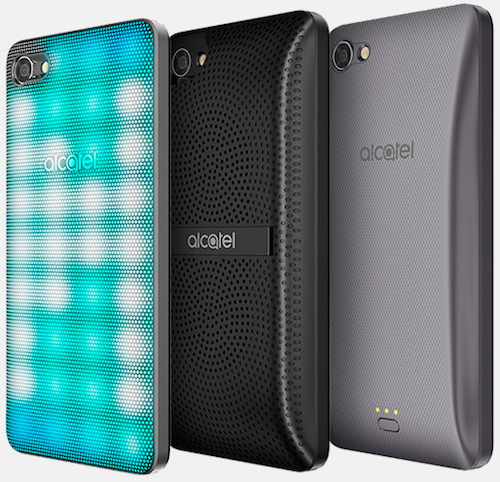 It is one of the first budget phones for under $70 that works with Alcatel’s accessory cover technology, called SNAPBAK, which attach on the back. It did a nice job of quickly downloading apps and surfing the web via Cricket’s 4G LTE nationwide network, which is run by AT&T. Alcatel’s PULSEMIX came pre-loaded with Nougat 7 and Google’s Android security patch from May 5, 2017, more on this later. The PULSEMIX comes with access to Cricket’s 4G LTE wireless cellular network. It performed well enough while surfing the web, play YouTube videos and its preloaded Slotmania game. Its top layer of Dragontrail 2D Glass is atop a sealed battery, however its metal back is removable for the SNAPBAK covers. Disclosure: I received a loaner Alcatel PULSEMIX at no cost for review. I have not received compensation for this review. All thoughts and opinions are my own. 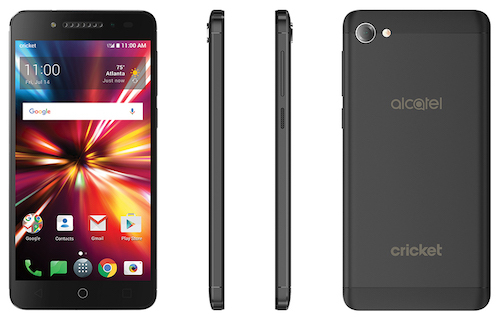 Photos are courtesy of Alcatel or Cricket unless otherwise stated. Large top and bottom bezels allow for a relatively loud top speaker and three permanent touch buttons. An 8MP camera on the back comes with dual-tone flash and the ability to record 1080p video. For a budget phone, I enjoyed its autofocus capabilities and shutter speed. It does not have an optically image stabilized sensor, which produced somewhat muddled looking photos in low lighting conditions. Its 2MP front-facing camera took adequate selfies when the front flash was enabled. Alcatel’s camera software provided an easy to understand interface and an HDR mode. When tapping to focus, a white balance slider appeared, which was a nice addition. The metal back made the budget phone feel more solid, while its plastic top and bottom allow Wi-Fi and 4G LTE signals through. Additionally, the removable back plate allows for Alcatel’s other SNAPBAK cases to be applied. The phone does not offer water resistance, an RFID sensor for wireless payments or a Qi wireless charging coil. The feel of its Dragontrail 2D Glass felt ok throughout testing, but it did not come close to other premium screens found on flagship smartphones. I did not add a screen protector or a case for the two months that I used this phone to see how it would hold up to real world conditions. Its right edge is where all of the buttons are located. The volume rocker is above the power button. Those with a pair of 3.5mm wired headphones are in luck, the audio port is on the top right. The most confusing design aspect about the PULSEMIX is its bottom right USB-C port. Nearly all power ports are located on the bottom middle. The SIM card and microSD card slots are only accessible when the back plate is removed. 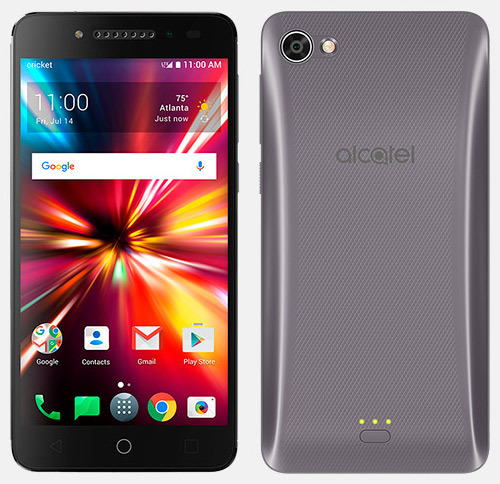 Alcatel’s PULSEMIX ships with Android Nougat 7 firmware from May 5, 2017. Cricket includes a firmware update option in the settings menu. During my two-month review, it did not update once. This is a huge oversight by Alcatel. Several major security patches for the Spectre and Meldown vulnerabilities were announced since and a Wi-Fi security hack called KRACK was patched between May, 2017 and now. Word from Cricket is that Alcatel has yet to send them a new firmware to address these top three security issues. A quad-core 1.5GHz MTK 6738 CPU drives the Alcatel PULSEMIX with 2GB of RAM and 16GB of storage. 16GB notoriously only gives the user a small amount of actual space to downloaded apps, store photos and videos. The PULSEMIX came with 1.87GB of space used of 9.08GB of storage. Thankfully, its micro SD card slot can expand storage up to an extra 128GB. I like using SanDisk’s A1 128GB micro SD card to record 1080p video and run apps at full speed. Alcatel keeps the PULSEMIX relatively lean by not including too many extra apps or interface overlays. It came with one pre-loaded game, Deezer streaming music app, NextRadio FM radio app, DFNDR Security app, Security Master app, WPS Office and a few Yahoo apps. The pre-loaded Yahoo and HuffPost apps are interesting as they are all owned by Verizon. It must have been an app deal struck before the acquisitions. A few of these apps can be removed so that 128GB micro SD becomes even more important. The Alcatel PULSEMIX comes with a wall adapter and a USB-C cable. It is nice to see the USB-C standard finally making it to budget handsets. Do not expect fast charging technology with this phone, so buying the SNAPBAK backup battery is a good idea. Any smartphone can be charged faster via a wired adapter if it is powered off. Calls were good in multiple environments due to its VoLTE or HD Voice capability. The PULSEMIX also comes with VoWi-Fi technology that is supported via MR.
To keep power use low, it only includes dual-band 2.4GHz and 5GHz a/b/g/n Wi-Fi and Bluetooth 4.2 wireless technology. Special Wi-Fi management software is included to activate it to connect to known hotspots based on where you previously connect. It remembers where to turn on its Wi-Fi based on location. I tested this software by connecting the PULSEMIX to my mobile hotspot, where there was no Wi-Fi previously. With its Wi-Fi turned off, I visited the same location on following days with my mobile hotspot turned on. It connected to it every time. The software is somewhat relentless in how many times it turns itself on, if it detects an open Wi-Fi network. Cricket should supply a VPN connection to the Internet when using the automatic Wi-Fi software for open networks. The software is impressive though and should be adopted by companies like Apple. 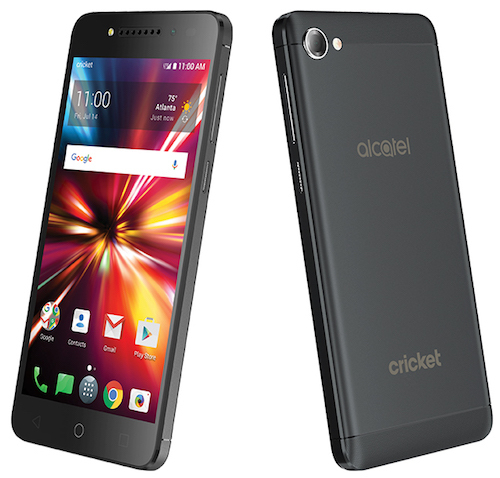 Cricket exclusively carries the Alcatel PULSEMIX and is currently being sold at $9.99 with a number transfer or $59.99 with a new number or current customer upgrade ($25 upgrade fee is required). This is a good choice for a super low fee when porting over a number. Its ample 2,800 mAh battery kept the fun going for longer than I needed to be playing Slotmania. I played the game so much, I neglected my Instagram feed for a little while. The HD screen produced rich color and it took nice enough photos for uploading to Facebook, Twitter, and Snapchat. Alcatel’s SNAPBAK accessories were ok and the backup battery is a good option. The Android Nougat 7 experience was adequate, however Alcatel’s firmware update schedule was non-existent during the review.